CHASSELL — To begin talking about the 1958 Chassell boys basketball team, you have to start with the 1956 Class D championship game, where the Panthers were down 15 points to Portland St. Patrick with just over three minutes left in the game. Head coach Ed Helakoski made a rare call. “He said, “OK, we got to press now.” They didn’t get the ball past mid�court. We scored 18 points and they didn’t score one for the state championship,” Don Mattson said. The Panthers won the game 71�68, ending that season on a 14�game win streak. Mattson, who was a sophomore, scored a Finals record 25 points, but he says looking back, that may have been the most important during the entire three year span. “In that last three minutes, I think it was when we learned how to win. 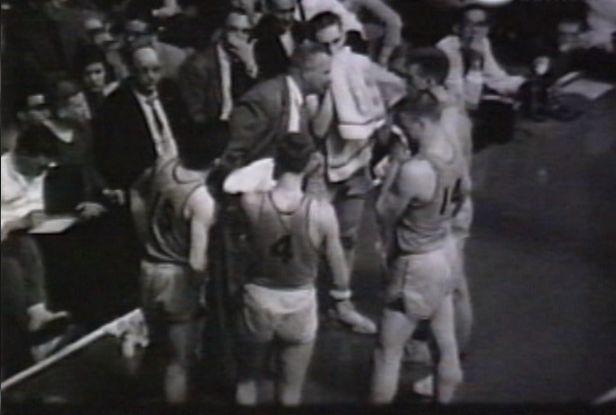 If we would have lost that game, we may not have gone back down there in ’57,” said Mattson. They went on to go undefeated in the next two seasons, alongside the coach people affectionately called Big Ed. “And you didn’t get on the bad side of him. He was Big Ed. He was a big guy. And he didn’t mind getting physical with you, if you needed it. But everybody just loved him. We came and played our hearts out for him and he treated everybody fairly, but he was stern,” Mattson said. Mattson says he sees a lot of Helakoski in North Central’s head coach Adam Mercier. “He’s keeping his guys’ heads leveled. If you got a little bit cocky and overconfident, he settled you down in a hurry. He’ll find something the matter with you,” said Mattson. The Jets win streak is well�known locally and throughout the state. But what was it like for Chassell when their streak kept growing? “I don’t think we knew that such a thing existed until we broke it. We broke it in the districts in ’58. No, we never mentioned it, hoping that we would get to set a record because all we did was play one game at a time,” Mattson said. Mattson says he got to watch North Central during last year’s regionals at Negaunee High School and he went as far as to say they might be the best team in the state, regardless of class. “They should take the team that wins D, C, B and A and have a four�team tournament to determine who is the best team in the state, and I wouldn’t doubt if North Central would win that,” said Mattson. They say all records are made to be broken and I asked Mattson how he felt to potentially see his team’s 60�year record fall Friday night. “Naturally, I’d like to keep the record. There’s enough selfishness in me to do that. But I’m happy and I’m glad that the record is going to stay in the U.P.,” Mattson said.